THIS MOD IS DISCONTINUED BY ME! Awesome! Are you ever going to add a knife or something? Looks good, but the texture of all weapon will be white? Strange, but still good. Good luck with you mod for you. Really Awesome, You should add the JNG-90, M60E4 and M98B in one of your updates. nice I like it textures need a bit of doing up and a few more guns but you really aren't skipping short on detail. Using container items so you can dis-assemble the gun. 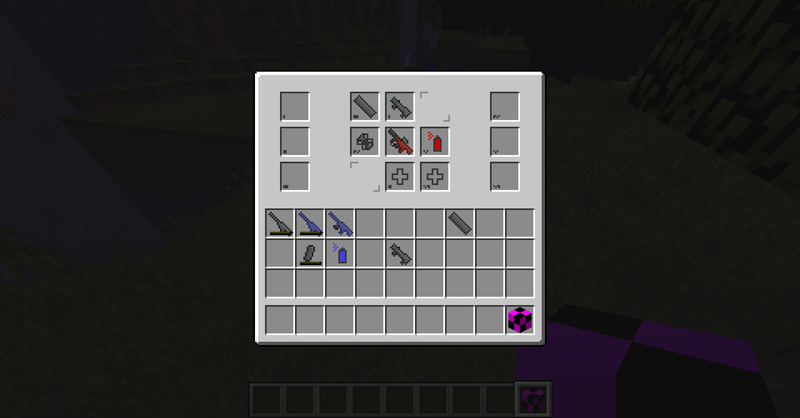 And having 15 different varieties for each gun. I don' t suppose you use meta data for the guns do you? is this mod compatible with Forge? rather, does it even require forge?? I plan on adding several other mods that Require forge, and i would love it if this one was compatible..
also, i can probably figure out how to instal this on SP, but what about MP? would you dump this straight into your server .jar?? or would it be placed in Forge's 'mod' folder?? would i need to ensure that all my buddies also add this mod to their individual Minecraft.jar?? 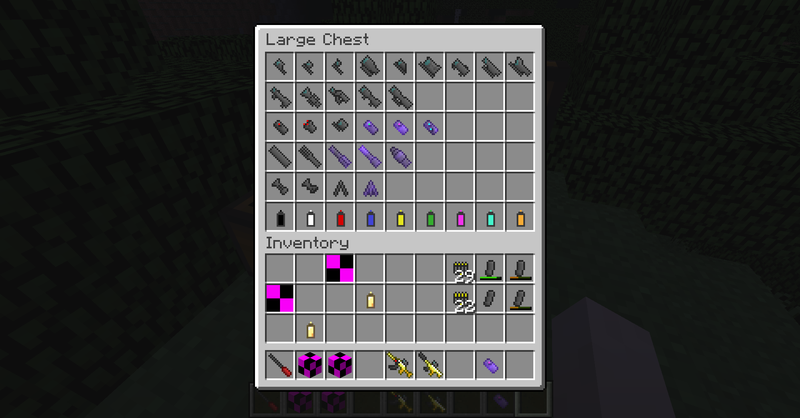 or would they be able to access this mod strictly from me adding it to the server.jar??? i appreciate all of the help, and im very antsy to get this working!! So, once i add forge, and then add my selected mods to the 'mods' folder, i dont need to change anything on my own Minecraft.jar? i guess my primary worries where me needing to have my friends add anything special to their own minecraft... it sounds like as long as i do the proper installation onto the server, then they can access all of my mods (including your awesome gun mod!) just by logging in??? Am i understanding that correctly??? Hmm, so once i do this to my minecraft.jar, do i need to have my friends do the same, before they can access/use the mods on the server?? Would it be feasible to edit my own minecraft.jar, and then share it with my friends, so that they have a proper copy?? But I just tried a lot of things like knifing or even the breathing while scoping. If it was not working I deleted all and looked for a new way to code it. I like your sights but I HATE and I mean HATE your gun models. So I will not be downloading, sorry. This mod is awesome! and you should make Dragunov,Barrett,Pistols,MP7,P90,TAR-21 and MP5K(sorry for too many request)! Look dude, this mod is beautiful. And you are right, keep it simple. Don't ruin it! This could be the next sdk or flans mod! 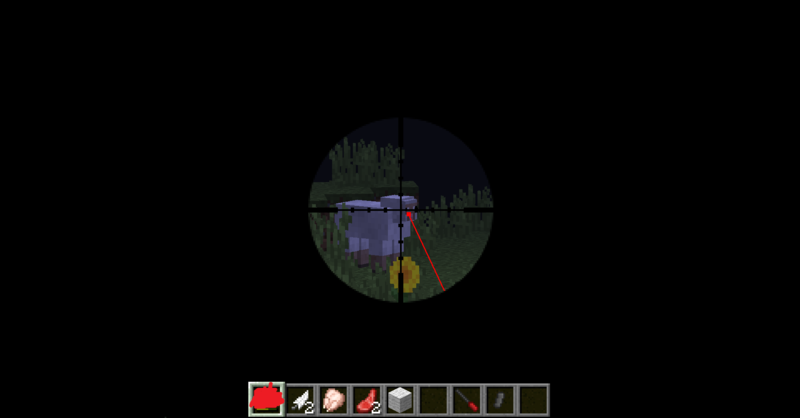 And also, I dont mod or anything like that, so I dont know how hard this is but xan you make the aiming down, y'know, faster, that way it is more fast paced. In any case, try making the aiming down faster, especially when you want to stop aiming down, because that was really annoying with flans mod snipers, not to mention unrealistic. 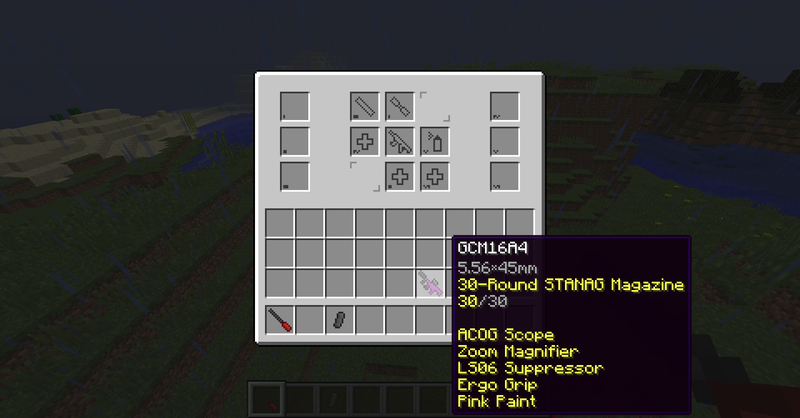 just because i feel the need to have a glock 18c semi-auto IRL, doesn't mean i want it in minecraft. I do though, so SCREW THE SYSTEM! I am writing this to tell you that you just read something completely pointless. Good Job.